Nokia 2 was unveiled recently and on Thursday, its India price was revealed to be Rs. 6,999 giving buyers yet another option in the highly competitive entry-level segment of the market. The Nokia 2 is targeted at buyers of low-end smartphones, which HMD Global claims constitute 30 percent of the country’s market. The Nokia 2 comes with rather modest hardware and doesn’t really match up to the competition when you look at just the specifications. However, the company believes that the end user experience will not sufferbecause of this due to the optimisations it has introduced. 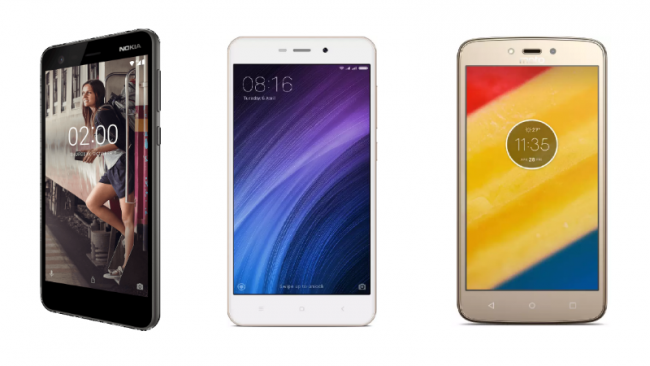 Nonetheless, buyers will still look at the likes of Xiaomi Redmi 4A and Moto C Plus when they are buying an entry-level smartphone, and not just Nokia 2. Here’s a rundown of the differences between the three budget smartphones, and a look at what they offer.